In today’s modern world, social media is the biggest tool for promoting your business, and it does not matter if your business is big or a small one, it works for both. There are many big social sites out there which help you promote your business online, and Instagram is one of them. Instagram is an excellent social site to promote your small business. You may have seen how big companies like Coca Cola and Nike are using Instagram effectively to promote their brand. Your small business can also take the help of Instagram to increase sales and it might not be easy, but still, there are many ways in which you can use Instagram to promote your business. Here are some ways you can use Instagram to promote your business. The best way of starting to promote your business via Instagram is to connect your all social media profiles. Many successful companies who run a successful social media campaign are using this technique. When you connect your Facebook, Twitter, and Instagram together, you get followers from all these sites. And when you post a picture on Instagram, it will be shared to other social media channels as well that are connected to your Instagram account. 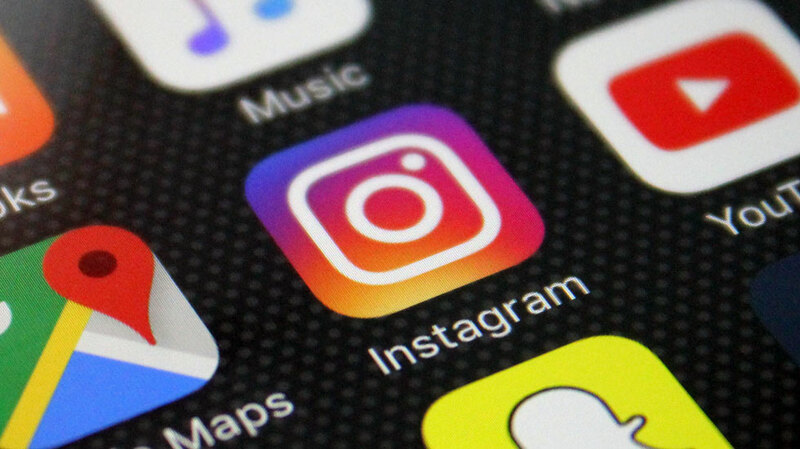 Instagram lets you connect with other social networks easily from Facebook to Tumblr there are a few great social websites that Instagram allows you to interact with. Also, make sure your bio is good enough and add a link to your website in your bio as well. Instagram launched its stories features in the last year, and since then Instagram has not been the same. The Instagram stories have been a great success for Instagram and made Instagram a top platform for people having social media marketing purposes. The Instagram story feature is a very cool update, and it has also benefited the business. To use Instagram stories to your advantage, you can make a story for your business about how you work your quality or about your products. The feature allows you to add multiple stories and video in the story so you can make a good story for your product with better presentation. If you will see the Instagram stories of brands like Taco Bell you will be able to get an idea of how useful the story feature can be. Most of the brands and small businesses do not interact with the users who are commentating under their posts. It might be tough for large companies and brands to communicate with users under comment section, but it is easier for a small business. It is necessary that you keep a look at your comment section and make sure you answer any queries asked in the comment section, and you can also try to thank those in comment sections who appreciate your product. Apart from interacting with the followers, you need to monitor your comments to make sure that you see how the responses on your posts are like, are they positive or negative? It is very important to engage with your followers in the comment section. Interacting in the comments section on Instagram can be tricky, and it is not as simple as Facebook. So to connect with followers in the comment section, you can use Sprout Social which is a very useful app for Instagram, and it helps you reply to comments from different Instagram accounts. Instagram contest are fun and they are an excellent way of marketing your business or product. They do attract more users as everyone loves to take part in a contest to get something for free. On the other hand, you might not like the idea of giving away things, but trust us it will be worth it. The more contests you organize and the more gifts you give away, it will help you create a bigger fan base. There are a couple of ways to host an Instagram contest, you can simply ask users to re-share the post or you can ask them to comment on the post. Later you can select the winner either by jury or you can give the prize to the entrant with most likes. Make sure you give away something that is related to your business or company so you will be marketing properly. Influencer marketing is a great way of promoting your business especially when you are just a beginner on Instagram. The influencer marketing allows you to interact with a large number of audiences with the help of an influencer. People get attracted when an influencer is asking them to use a service or product. Now you might be thinking how you would be able to hire a celebrity to influence your audience when you are a small business with a small budget? It was difficult before social media to hire a model and not to mention it was very expensive as well. But now in the age of social media, it is not that difficult. You would not be able to hire A-lister from Hollywood, but you can hire a famous social media personality that has a lot of likes and then you can take their help. Instagram ads are the best way of promoting your business. It was very difficult for a company to create ad before and it costs a lot of fortune as well. Social media has changed this as well, and now everyone has the capacity to afford ads on social media site. They also provide a shop now button, which is very helpful. Instagram ads are highly affordable and through them, you can promote your business and get some targeted followers. You can also get some quality followers without having to spend on ads but that is only possible with collaboration with similar Instagram creators. So make sure you take full use of Instagram ads. Make good pictures for ad display and use the best strategies to get the maximum out of Instagram ad feature.